If you’ve ever called pretty much any type of business, you’re probably well aware your call may be recorded for quality assurance or training purposes. Commercial phone systems are costly, complicated and built for functionality, but sometimes, the rest of us might need to record a call, too. Here are a few ways you can! Thanks to modern-day technology, just about anything is possible, and you don’t necessarily need a lot of bulky, expensive equipment to achieve usable results. Smartphones are prime examples with all the functionality of advanced computers right in the palms of our hands. Android devices and iPhones don’t come with built-in call recorders, but as is the case in so many situations these days, there’s an app for that. For use on both platforms, TapeACall is an inexpensive, user-friendly option geared toward call recording needs of all types. Though you’ll shell out all of $10 for the professional version, a free one is readily available. You can only record 60 seconds of conversation with the complimentary download; still, if that’s enough to fulfill your needs, why not save your money? Another Call Recorder is readily available for the Android-faithful crowd, and that’s literally the app’s name. It’s free to use and comes with several features, like password protection, delayed startup, manual or automatic settings and compatibility with a wide range of storage platforms. Google Voice does offer its own free call recording service, but it’s not the easiest option to use or the most feature-packed. At the same time, it lets users know you’re recording, so they’re bound to be on their best behavior once they find out what you’re doing. Most of these apps are fairly simple to use and operate much like a three-way-calling scenario. Plenty of them are out there if you know where to look. Each one comes with its own set of benefits and drawbacks, but they’ve all been known to serve their purpose. Does anyone out there remember cassette recorders? 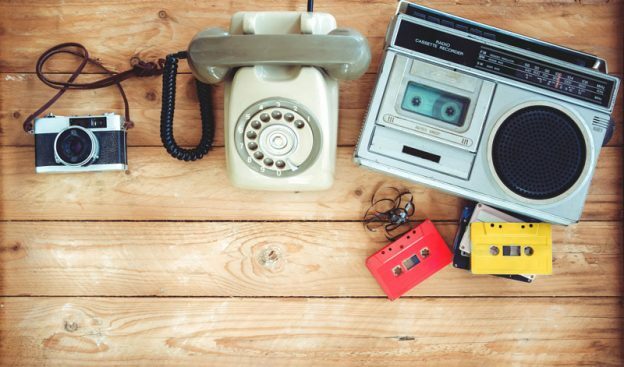 If you happen to have one on hand, you could always hold your phone up to one of those ancient devices and try to record a call. Of course, plenty of digital models are on the market these days. You’ll find digital voice recorders starting at $12 or $13 dollars and ranging all the way up to $90,000 or more. Most people really don’t need one of the models on the pricier end of the spectrum; in fact, the cheap versions generally tend to suffice. Olympus is a well-known brand, and it offers a call recorder for as little as $14. Sony, Zoom and Philips are a few other household names bringing the public technology like this for a fairly affordable price. Items like these usually just plug into the earbud jack on your phone, and they’re ready to pick up a conversation. Ease-of-Use: If you spend the entire duration of a call trying to figure out how to connect and control the recorder, you’ve missed the point of the venture entirely. Try to find one that’s either simple to use or comes with comprehensive instructions. In a best-case scenario, you’ll acquire a model offering both. Compatibility: In all likelihood, you’ll need to transfer your digital call recording into your laptop, tablet or a cloud-based storage system. Should you have a Windows operating system and end up with a recording device only designed to work with Apple products, your information will essentially be useless. Be sure to read the fine print before offering up your credit card number. Storage Capacity: If you shell out your hard-earned money for a piece of hardware that’s only able to record a couple minutes of audio, you’re not much better off than you would’ve been with a free app. Be sure to compare the memory of the devices you’re considering against the potential length of the conversations you want to record. Price is obviously a consideration as well. Those who only plan to record one or two exchanges probably wouldn’t want to spend a few hundred dollars on a device. On the other hand, if you intend to make a habit of it, one of the costlier options might pay off in the long run. 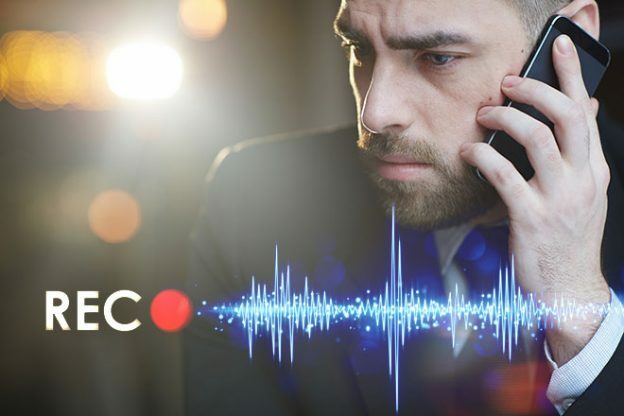 Though we do have a wide range of technology at our disposal these days, recording a call doesn’t necessarily have to be a highly involved undertaking. You could always put a caller on speaker phone, hold another phone in close proximity, and record the call that way. In the event you don’t have access to a second phone, you’d probably have to explain what you’re doing to someone else and ask to borrow theirs. This may not be a big deal, but if privacy is a priority, recording a call on a friend’s phone might not be an option. From another angle, it’s also possible to take advantage of your own voicemail. Simply call the person you want to record, touch the “Add Call” feature on your phone, and direct it to your voicemail box. Time will be of the essence if you choose this method since most voicemails only hold out for a couple minutes or so. If you’re expecting a lengthy conversation, this wouldn’t be a suitable alternative. Call recording services and software are readily available to businesses; of course, you don’t necessarily have to prove your business status in order to reap their benefits. Most of these aren’t free, but some aren’t all that expensive, either. CallRail: This option has received high marks in several categories, like ease-of-use and available assistance should the need arise. At $30 per month, it offers features such as recording, sharing, archiving and instant call retrieval. Call Corder: If you have the right tools going into a venture like this, Call Corder software can record phone conversations directly to your computer. It’s a bit more expensive at around $40 or $50 per month depending on the package you choose, but it allows you to record calls on demand. 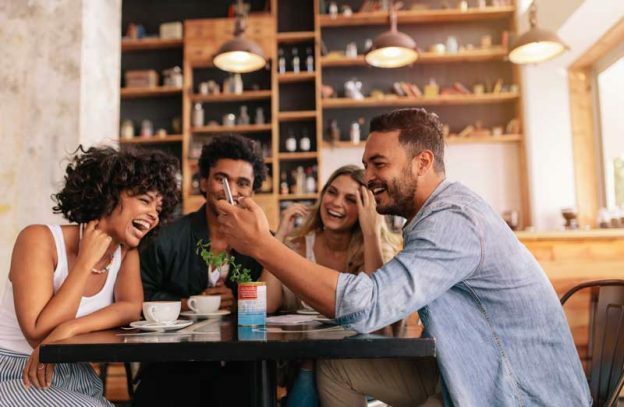 Automatic Call Recording: With Automatic Call Recording from RingCentral, you could potentially record up to 100,000 calls over the lifetime of your account for $20 a month. According to current users, it’s simple to set up and can be used by only a single person. You can even record video calls with this option. These are only a handful of the tracking software and service solutions out there. Though many of them come with a wide range of features you won’t need, like call source tracking and marketing analytics, they do provide the one component you do: call recording. While some of the asking prices could certainly add up if you go for a monthly subscription, most of these products do offer free trial periods. If you decide to use one of these options just to record a call or two, don’t let it get out of hand. Do your research on the length of the free trail, and be sure to cancel before the grace period runs out. Third-party call recording software and services undoubtedly offer the broadest range of features. Still, monthly subscription fees make them some of the most expensive options on the table if they don’t come with a free probationary period or you forget to cancel your subscription before the complimentary trial ends. Smartphone apps are typically either free or inexpensive. They’re guaranteed to be compatible with your phone unless you somehow inadvertently venture outside your operating system’s app store. These alternatives may not offer the most features, but they’ll suffice. You might say external recording devices offer a happy medium. They’re not free, but a number of inexpensive models are available for purchase. Be sure to do your research beforehand, so you’ll find one that meets your needs, budget, technical skill level and operating platform, though. For those who don’t mind falling back on technology of decades past, the tape recorder option is a possibility. 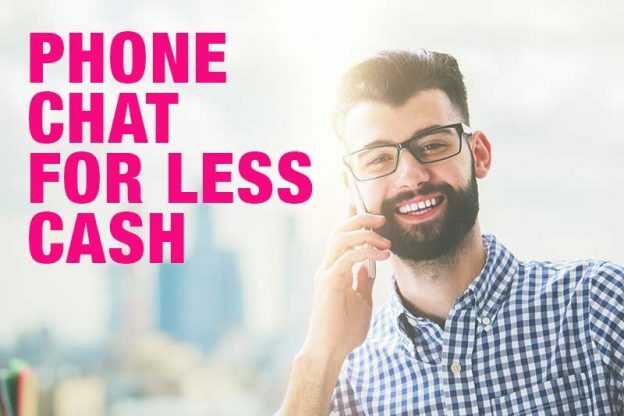 Getting a second phone involved or letting your voicemail in on the conversation works well, too, and these solutions don’t come with any extra out-of-pocket expenses. Having said all that, recording calls isn’t exactly legal without the other party’s express consent. In order for such approval to be given, the person on the other end of the line would have to know he or she is being recorded. When you let the other person know you’re recording the call, its outcome may not be the same as it would otherwise. Whether you’re recording a call with a customer service representative for future reference or just want to preserve a conversation for the sake of memories, tread carefully. Should the need arise, though, you do have options.